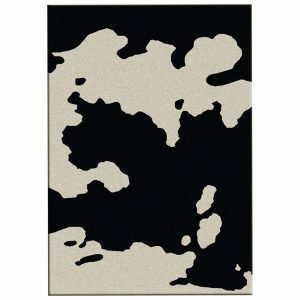 Fine area rugs by American Dakota made in the USA. 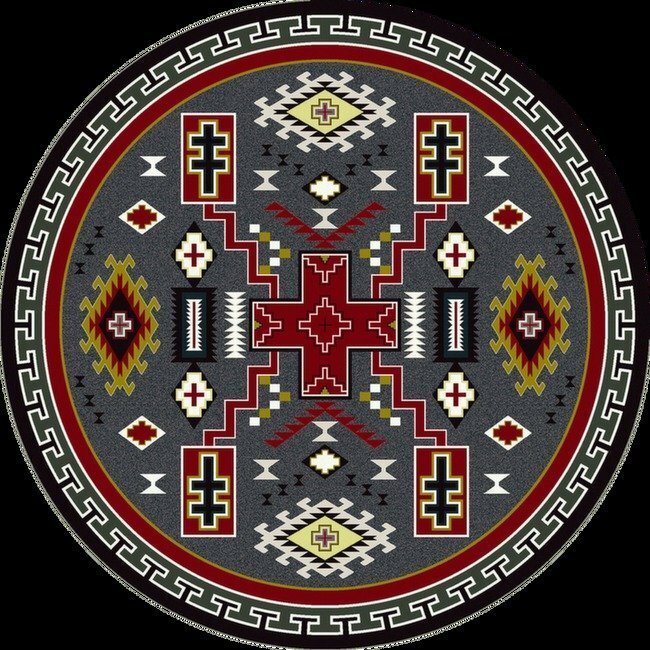 The rugs come in 2 colors and 6 sizes: 2×8 runner, 3×4, 4×5, 5×8, 8×11 and 8′ round. 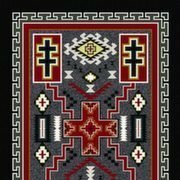 Double Cross is a Southwest rug by American Dakota. 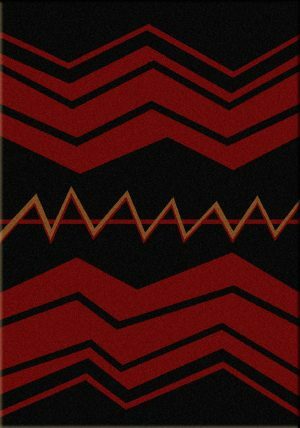 This design is part of the Voices collection and inspired by Native Americans. To fit any color scheme, the rug is available in gray or beige. 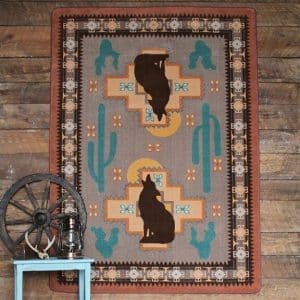 Southwest rugs are a great finishing touch. The classic designs have a timeless appeal and work in a variety of decors. 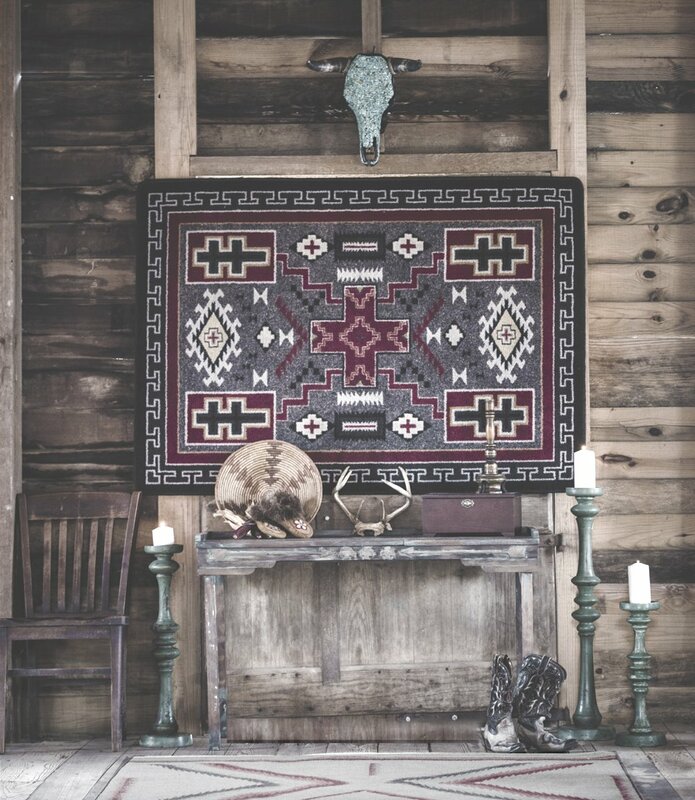 They fit right in with rustic or farmhouse interior. 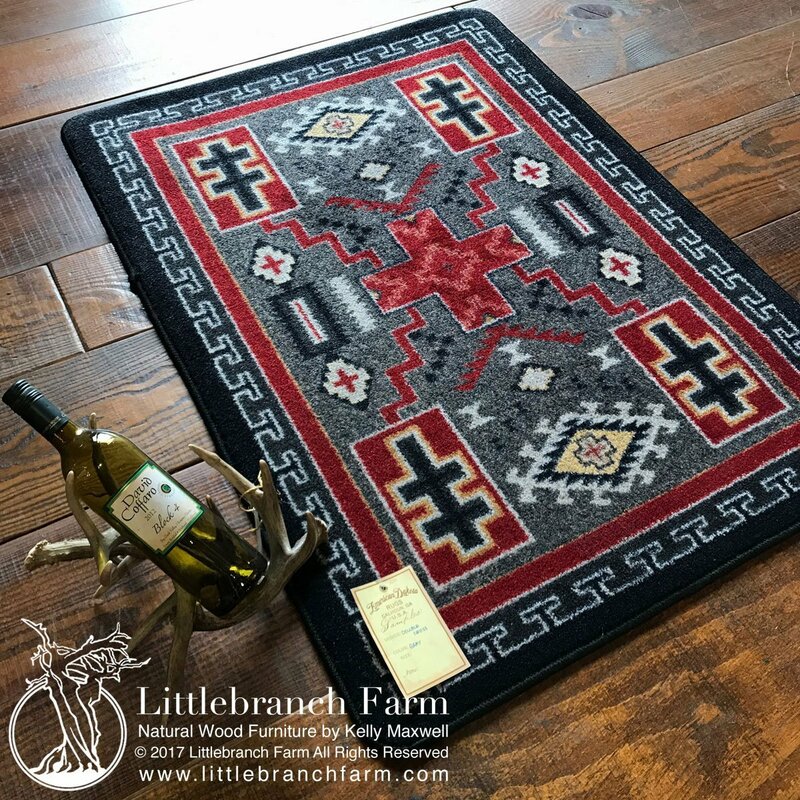 An 8×11 rectangle rug will fit perfectly under one of our rustic dining tables. And since they are made out of stain-resistant nylon, you won’t have to worry about spills. Most stains will come right out with simply warm water.